Images in Scripture - an illustrative approach to prayer by author Maggi Ogunshuyi was created for those that enjoy the visual creative arts. As an artist, the author has structured the book by themes, allowing for interpretive visual representations to be created by the readers through any visual means that they choose. This could be painting, drawing, photography or any other means that speaks to them. 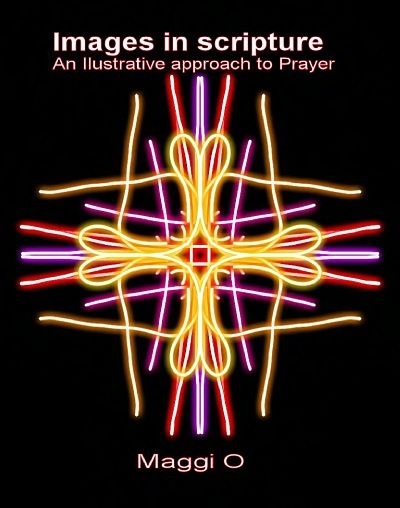 The book is mainly designed for exploration by those people who are visually gifted and stimulated, inviting them to draw closer to the Lord through prayer and visual representation. Readers are encouraged to engage by developing their own visual interpretation from scriptures that speak to their heart individually. This is a wonderful uplifting and encouraging way to draw closer to the Lord in prayer, contemplative art creations, and makes a great gift idea for those that are artistically inclined.